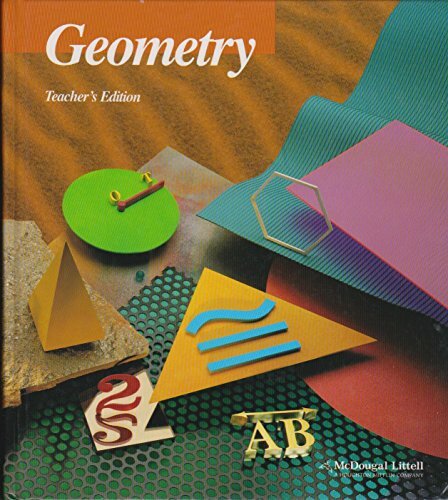 This book is a comprehensive course in geometry, and is enhanced by emphasizing and integrating logical reasoning and spatial visualization skills. Lessons include numerous worked-out examples to guide the student learning. Jurgensen, Ray C.; Brown, Richard G.; Jurgensen, John W.